Home / Publications & News / AGM or Wine? The moving boxes are finally all unpacked, you love your new, quicker commute and the freedom of spending your weekends ‘brunching’ instead of mowing the lawn. Slowly, but surely, the initial buzz of buying your brand new or pre-loved strata apartment subsides. You become attuned to meeting your strata neighbours, strangers who live in close proximity to you – some of whom greet you, others who don’t. You receive your first strata levies account, pay it (of course), and then receive an invitation to attend the upcoming Annual General Meeting (AGM) for your building’s Owners Corporation in the coming month. Life is busy. Outside of work, you have family and friends and time is precious. So when the day of the Annual General Meeting for your Owners Corporation comes around, scheduled to commence at 6:00pm, and it’s stinking hot, or pouring with rain, and you’re still at work at 5:30pm, the choice about whether to go to your AGM, or home to your family and a glass of wine is easy – go home. The whole reason you bought an apartment in the first place was to make life easier, right? So what is the point of participating in an AGM once a year if it is inconvenient? The reason is this: you work hard to earn your money, and if you don’t participate in the democratic decision-making process of your Owners Corporation’s administration and the repair and maintenance of the common property in your building, then there is ample opportunity for inefficiencies and waste. This may lead to you having to work harder, to pay higher strata levies or special levies to cover the actual costs of administering and managing the common property. Participation does not always equate with attendance and vocal criticism as some strata owners may think. For those owners elected at the AGM to serve as Committee Members of the Owners Corporation their task is voluntary and often thankless. If a Committee is dealing with ordinary matters of insuring, maintaining and regulating the common property, then their effort may be limited to a few meetings a year. But, if a Committee has to deal with extraordinary problems like significant building defects, Council building orders, breaches of rules by owners or occupiers, or litigation against the Owners Corporation, then more is demanded of those Committee Members. For example, they can be involved in large volumes of email chain correspondence, regular meetings, phone calls, reviewing of building or legal expert correspondence and reports. They may be involved in preparing financial budgets, reviewing maintenance plans, considering contractor scopes of work and contractual agreements with service providers. Committee Members are frequently asked to vote on decisions that are beyond their personal expertise and which can impact the finances of the Owners Corporation, and therefore the finances of their fellow neighbours. Yet they too were seeking a simpler lifestyle when they bought their apartment. There is a stark contrast between the effort and contribution made by Committee Members who work tirelessly between AGMs and the owners who attend the AGM once a year. There is a further stark contrast between those who attend, and those who don’t. Some owners are content to pay their strata levies as long as their lived strata environment meets their personal or investment expectations. There are other owners who may be confused about what their levies are for, but are too time-poor to delve into the complexities of strata law and how it affects them personally. Some people do take the plunge and learn as much as they can about strata laws from available resources including their manager and information online. They may even go so far as to nominate for election to the Committee. Other owners may use the limited information to make demands of the Owners Corporation (sometimes valid, often not), that ‘it’ take a particular course of action (usually immediately). Such is the diversity of the human condition. We are all different. We all have different pressures and experience life in our own ways. Our communication styles vary and so do the things that frustrate or annoy us. And now, the phenomenon of the human condition living in closer and closer proximity is being borne out in meeting rooms across Australia in Committee Meetings and AGMs. 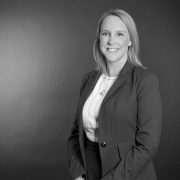 It is being played out in state-funded mediations and adversarial Tribunal and Court hearings – even in the High Court of Australia in the case of Ainsworth v Albrecht  HCA 40. 12 Oct 2016, which involved a dispute over a strata owner’s bid to purchase part of the common property airspace. And whilst the cynics amongst us may say that strata lawyers thrive on the chaos created by the pressure-cooker environment of strata that combines property interests and rights, financial obligations and the phenomenon of the human conditioning living in close proximity, the reality is, at least for me, that as soon as we solve an issue for one strata client, there are more in need. The strata industry as a whole has, for a long time now, called for increased owner participation at AGMs as a minimum starting point for improving the lived experience of owning and living in strata. If this article makes one more owner go to their next AGM instead of going straight home, it will have been worth it. For strata or owners corporations advice please contact Nicole Wilde or a member of our Owners Corporation team.